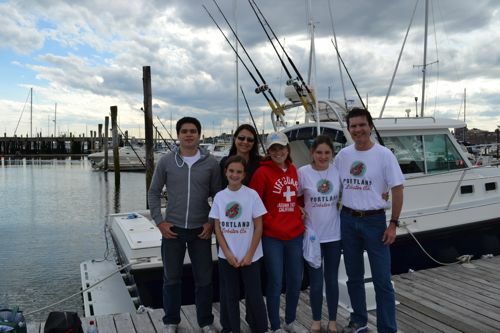 This Family from Mexico came back to Maine to go offshore deep sea fishing with Maine Ocean Adventures again this year. 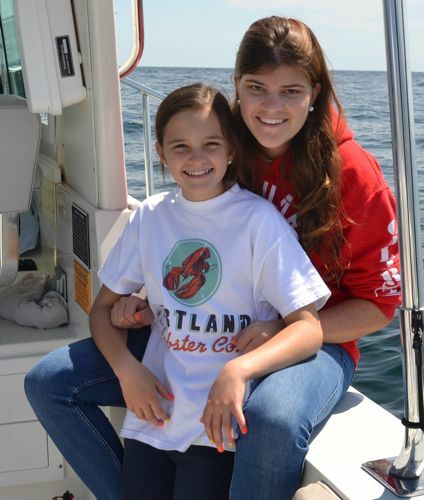 They will be back again next year as they just can not get enough of a GREAT day on the water deep sea fishing in Maine. 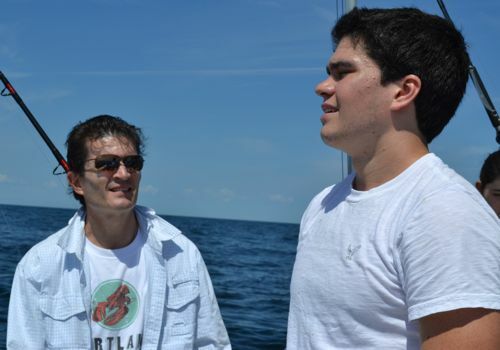 On this day they wanted to catch haddock for dinner and to catch a monster shark. Well, they did all of that and a lot more on this day. They caught haddock, pollock, cod and cusk along with a blue shark that easily was 10 or more feet long. You can tell from this photo on the left that it is an exhausting battle when you go up against a MONSTER blue shark using stand-up gear. We did manage to catch and then release this giant so that it lives to bring another sportsperson another catch of a lifetime. I can not say enough good things about this wonderful family that comes to Maine each summer so that the children can go to summer camp on Moose Pond in Bridgton. They plan to come back for the next 5 years so that the youngest in the family gets to experience Maine the same as the other 3 children have. This entry was posted in Maine Deep sea fishing, Offshore Fishing, Offshore Photo Gallery and tagged charter fishing for shark in Maine, charter fishing in Maine, deep sea fishing charter boats in Maine, deep sea fishing in maine, fishing trips in Maine, groundfishing in Maine, Maine shark fishing, Portland Maine Charter boats. Bookmark the permalink.